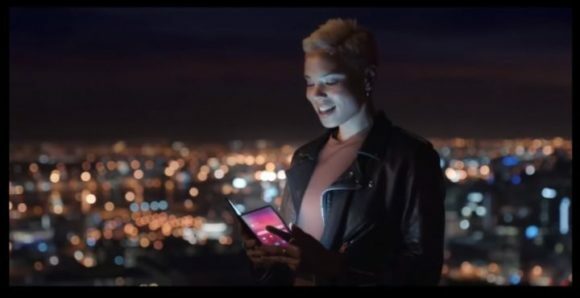 After a ton of leaks of Samsung Galaxy Foldable Smartphone, now accidentally the official reveal video that was made by Samsung is leaked. After Samsung noticed the video is accidentally uploaded, they immediately removed it. But now the official video is available on YouTube everyone can take a look at it, it is reuploaded by Slashleaks Channel on YouTube. Samsung decided to launch the foldable phone in early March, they could name the Phone in Galaxy F series. According to the sneak peak held in SDC the phone when unfolded will sport a 7.4-inch screen, while in inward when in fold position the phone will show a 4.6-inch screen which is slightly less than a normal coming 5 inch display. The phone is expected to launch at a price of $1770 (in India it would cost more than 1,30,000 INR). Stay tuned with Alloftop for more updates!